In the interest of expanding my social circle, I willingly signed up for summer kickball when my friend, Juliana, was putting a team together. For 8 weeks, I’ve committed to playing the game with my co-ed team against a new team every week. It’s fun, light-hearted competition that makes socializing with different people every week inevitable. 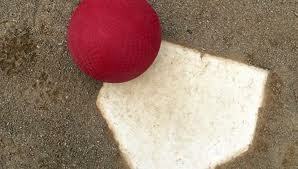 We chose to play kickball because basically everyone who went to an American elementary school knows how to play the game, meaning anyone can play. It gives us all a reason to get out after work, enjoy the outdoors and laugh – get a bunch of your friends together over a playground game like kickball and you’ll laugh a lot! What I discovered is that meeting men in this setting is so easy. The games are fun and the atmosphere is playful. Best of all introductions are expected so the pressure is off. Austin Sports and Social Club offers a variety of sports at varying skill levels from which you may choose. If meeting great guys is your objective, start a team with a handful of your girlfriends and have them recruit male friends for your team from their social circles. Instantly, there’s a new group of guys for you to get to know in a place where it’s easy to do so. Eight weeks means 8 games and 8 scheduled opportunities to meet someone new. Go out and play! Who says no one’s watching? As I’ve written in a previous blog post (see Relationship Tip #6), you never know who’s falling in love with you. While I don’t believe that looks are everything, they are at least a start. Here it is from an observant man’s point-of-view. Granted, Taylor Phinney is young, but a man nonetheless. I found his post worthy of reblogging because it’s a playful, well-written reminder that sometimes details make a difference. Scroll down and read some of the comments. There’s a bit of good perspective there too. I am en route back to freezing cold Colorado and a very funny little exchange just went on in the row in front of me. First off, I got upgraded to United First which is always a treat and not something that happens all that often–so we are 4 people per row, 2 on each side of the plane. I don’t mean to write about so many restaurants, but when I find a great Hot Spot I’ll share it. Think about it, though. When you’re single and you’ve got a lot going on, you eat out a lot because you don’t have time to cook – at least that’s how it goes for me. My haunch that single guys eat out more than they eat in. 24 Diner is yet another eatery. The best part of this place is not the food, it’s the counter. When I was waiting with friends for a table, we were standing near the counter waiting for a few minutes. During that short period of time, my friend Kelley and I struck up a conversation with 3 different single men eating breakfast for dinner at the counter, two of which were complete strangers and totally handsome. Had I not been with 4 other friends, I would have joined them. Oh, well! Next time I’m hungry, I’ll definitely belly up to the counter at 24 Diner and go it alone. By the way, Kelley met one of those guys for a bicycle ride. We’ll see. . .
I’ve played the role of Mary countless times in my own life. What Mary’s father said about her was true about me too. I had been operating with the selfish notion that the men in my life were at my disposal and I had infinite chances to “blow it” with them. My wake up call came when I actually had someone in my life with whom I could see having a future. Instead of nurturing the relationship, I broke up with him with little explanation. Six months later, he gave me another chance and I did it again. Time went by and he gave me yet another chance. At this point, I had destroyed any trust he had in me. Our relationship, or even friendship, was never the same. While Mary acted in her arrogance, I acted in my insecurity. Call it “the grass is greener syndrome,” sabotage or whatever. We both had our reasons, but the reasons don’t really matter. The bottom line is that I took him for granted. I didn’t appreciate having him as my boyfriend until I had lost him. There was no recovering from that – the consequence being I killed the relationship. Acted on the vision of my future with him, not my past with other men. Stated differently, I would have dealt with my baggage. By treating him as if he were every other guy who had hurt me, I was making him pay for their wrongs. This was a new relationship with someone who loved me, therefore deserving of a clean slate. Shared with him the issues with which I was dealing at that time. He was a very tender-hearted man and told me at one point that he could tell I was dealing with something. I didn’t tell him because I didn’t want to be v-u-l-n-e-r-a-b-l-e. Appreciated everything that he was for me, rather than indulging in my insecurities. I was admittedly obsessed with what could go wrong in our relationship. How could I possibly enjoy being with him with that constantly running in my head? Given him credit for being an adult. That means trusting him to be able to handle bumps in the road with me. Of course, to do that requires communication. He didn’t know because I was unwilling to share it with him. In hindsight I can see that he’s dealt with plenty of issues in life, many were just as difficult as, if not more than, mine. He could have managed it. Also, being outside the situation, he probably would have done so more skillfully than I. Moved on after breaking up with him the first time. To repeatedly go back and forth with him served only me – selfish. It kept him in limbo, fueled his insecurities because he never knew where he stood with me and completely ruined his trust in me. I wasn’t respecting him or his heart. Having a love worth keeping really is like winning the lottery – it seldom happens and doesn’t happen for everyone. Playing games like Mary or I did, regardless of your reasons for doing so, will always have its consequences. I’m not saying that there are no second chances. Plenty of people get married after a second chance. What I am saying is appreciate your first chance in a relationship and treat it as if it’s your last because it could be exactly that: your last chance. No, I wasn’t really dead. Last summer I completely stopped writing. While I could give you an endless list of reasons why, I won’t; it doesn’t really matter in the grand scheme of things. Just like that very first workout after a lengthy break, the hardest thing to write is that first sentence. I call it, “Breaking the spell.” That’s what I’m doing right now. Within the past couple months, I’ve pushed myself out of my comfort zone. . .a little bit. I’ve done some new things, spent some time with new friends and visited new places. The result was a renewed inspiration to write again. So, here I am back again and I’m looking forward to sharing these things with you.